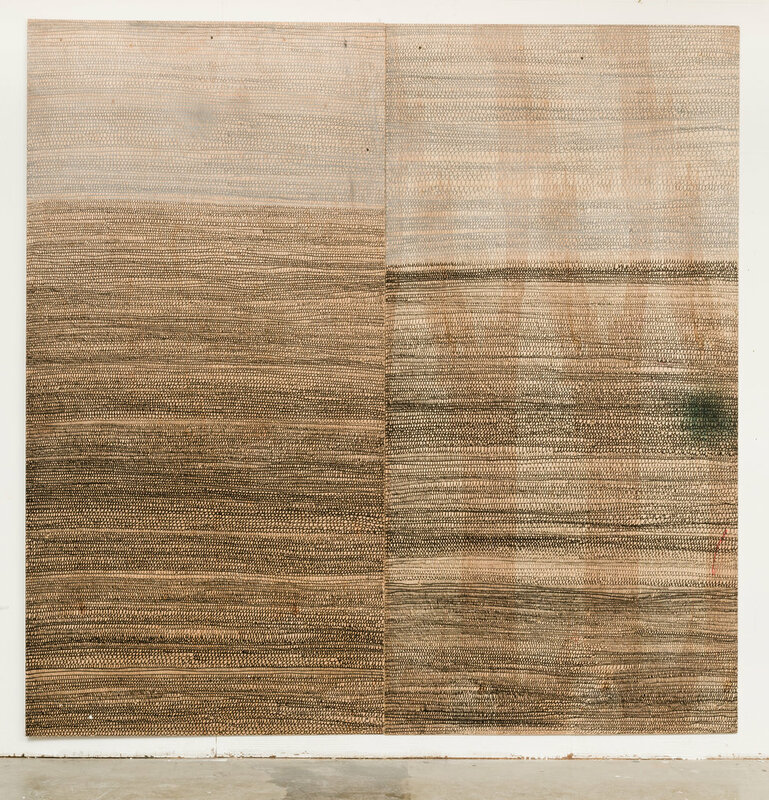 Chris Miller’s work is based in the physical process of drawing, mark making and painting. This body of work exists in two parts and has evolved from extensive research into traditional and experimental artistic processes and materials. The hanging sculpture is an amassment of the tools and detritus leftover from the act of his drawing practice. Within this accumulation, you will find empty ink bottles and felt tip markers, wire, string, and random everyday household objects These materials may have been directly involved in mark making, or simply fragments of previous work that now serves as visual inspiration. Recently he became fascinated with making two sided drawings and letting the shapes bleed through to create layers of new meaning. Initially, these forms were designed to catch wind and be incorporated into simple drawing devices. As the work evolved, these sculptural drawings became both the means and the end. In a format as open as this one, these objects are now the grounding force in the work. They become stand-ins for the individual, collected moments that are too numerous to digest. 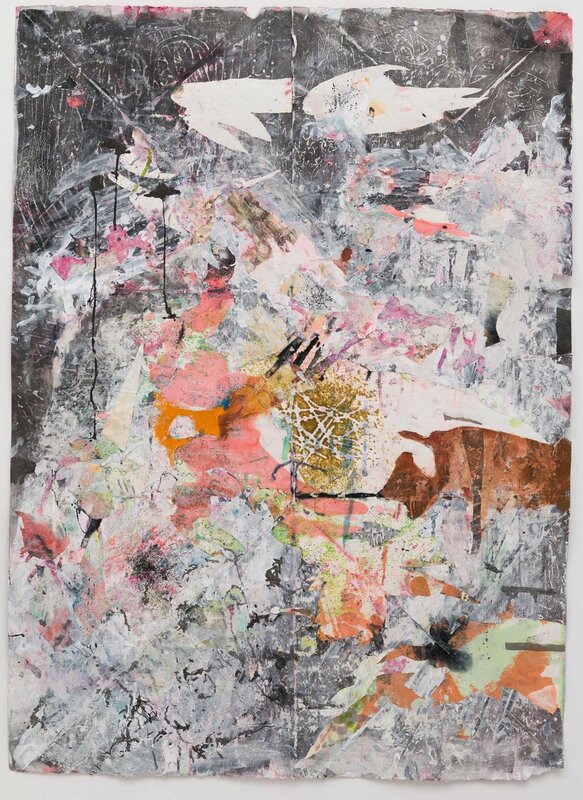 Miller is fascinated by the complexity that arises from pursuing this format through hundreds of multiples and watching as content begins to emerge. We see the struggle to create and the resources necessary to execute. Locked among the paper and string, dichotomies between failure and success, newness and disintegration, obsolescence and innovation, begin to commune with one another. The work holds secrets and has its own history. In the end, it is important to Miller that the viewer has a real experience and that the work is accessible to any curious person. It is complex and energetic beyond his control and therein lies its charm.